We are so excited that you are looking into coming out to Pearce Williams Christian Centre for a day trip or an overnight trip. The staff here at PWCC are always excited to see both new and old faces, especially after a long winter away from camp! Our programs run rain or shine. Do not think that your class will miss out on an experience because of the weather. Our staff do their best to follow your program selections no matter the weather. So come prepared to have fun no matter what the weather is doing! Here at PWCC we often “take to the woods”. If you have a student who has special accessibility needs, please let us know in advance so we can plan your program appropriately. We want to help you through your planning process as much as we can. Please call the office at 519-764-2317 and we will gladly answer any questions you have! Please read below to find your program selection sheet, expectations, and other notes. If you are attending a day program, please note that PWCC does not supply lunches or snacks. 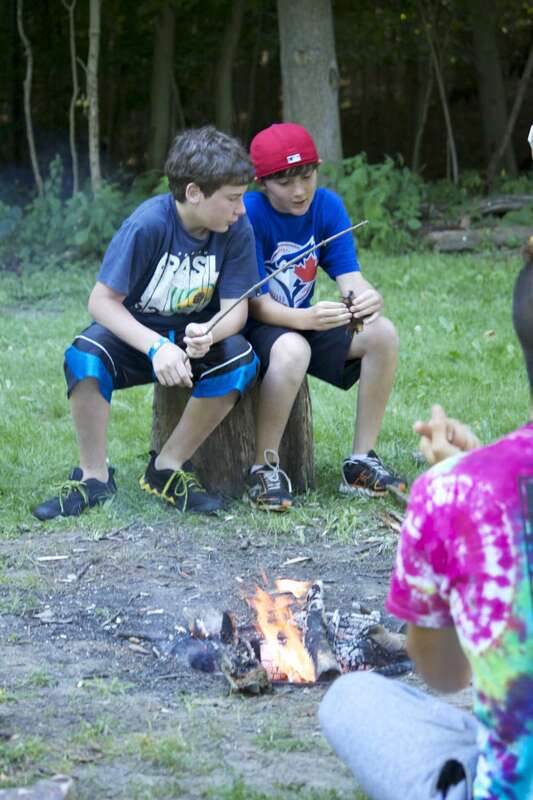 If you wish to cook your lunch over a campfire, we can accommodate that. If you are attending an overnight program, PWCC does not supply lunch or snacks on the first day. You can check out our menu options here. Our goal is to provide everyone with an amazing experience. In order for this amazing experience to happen, we need help from teachers and volunteers. Supervise at the lunch break – the PWCC staff will provide students with balls, Frisbees, etc., but then must go eat their own lunches and ensure that program equipment is set up for the afternoon activities. After 9:00 pm the PWCC staff do not run program – teachers and chaperones are responsible for students during the night. There are no separate sleeping quarters for teachers/chaperones. Stay on site – as stated above, teachers and chaperones are responsible for behavior. If any teachers/chaperones leave, this requirement is not being met. Let us know if other teachers/chaperones will be arriving or switching places throughout your time at PWCC. Nature Mindfulness - New for 2018! Wacky Sports - New for 2018! Around the World in 80 Games - New for 2018! Dirt Can't Hurt - Hands on Nature - New for 2018! Makerspace - New for 2018! Click here for more information on these sessions. Click here to download your program selection sheet. This sheet must be filled out and returned before a contract will be sent to you. We review your selections before sending the contract in order to determine if your selections can be accommodated. We aim to provide you with an amazing experience, and this is one way we use to assist in this process. If choosing a Day Trip, you can choose 3 - 4 program sessions. If choosing an Overnight Trip, you can choose 6 - 8 program sessions.